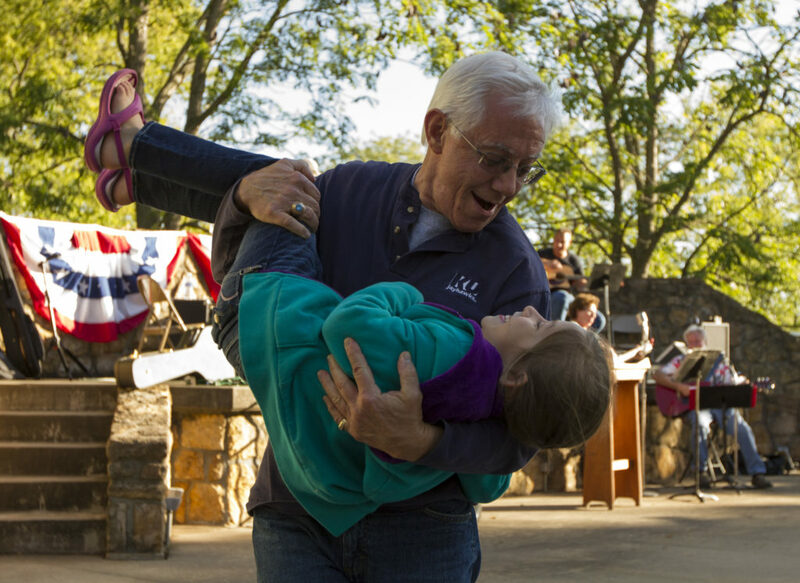 Prairie Village resident Steve Snitz dips his 6-year-old granddaughter Lela Pereira as the two dance during the Harvest Home Picnic and Music Festival on Saturday at Clinton Lake. 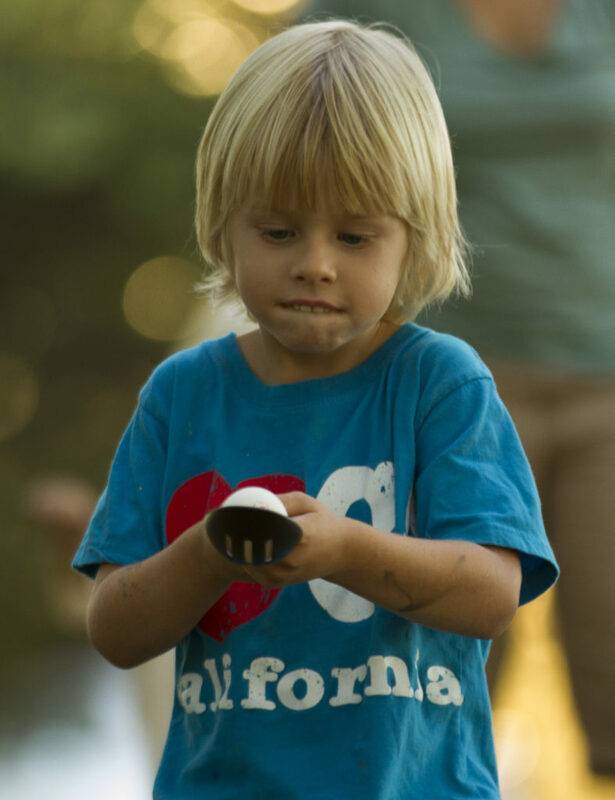 Henry Gottsfield, 5, of Lawrence, concentrates on keeping his spoon steady as he takes part in an egg-and-spoon race during the picnic Saturday. In 1873, Clinton-area residents held a picnic — the Sigel Harvest Home Picnic — to give thanks for the summer’s produce. Nearly 140 years later, about 75 of their ancestors and other community members gathered to continue the tribute at the Harvest Home Picnic and Music Festival on Saturday evening at Clinton Lake. Holding with tradition, most brought homemade dishes for a potluck dinner. In the background, local musicians played music while children participated in a cake walk. Awards were given for categories such as oldest woman, redheaded-est girl and oldest Jayhawk, which John Studdard, 81, of Lawrence won. The history of such people is preserved in the Wakarusa River Valley Heritage Museum, for which the event, in part, raises money. The museum preserves memorabilia from the farms that existed where Clinton Lake is now, as well as historical artifacts concerning the Underground Railroad and the Bleeding Kansas period. Groundbreaking for the addition is set for Saturday. Conboy was quick to add that the expansion or picnic would not have happened without the hard work of Parker. “What you see today is a testament to Martha’s passion to preserve history and build community,” he said. This was the first Harvest Home Picnic in 35 years.